· This analyzer must be used in dry condition. 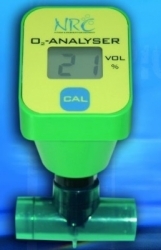 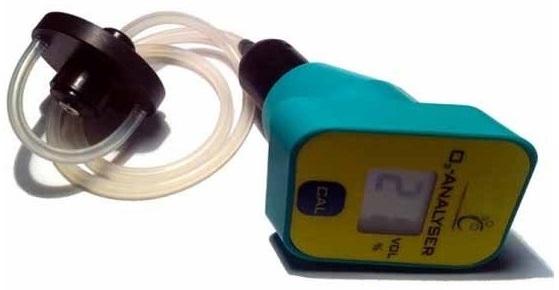 Small and portable Instrument to measure the Oxygen concentration. 1013 hPa, 25?C and dry air. 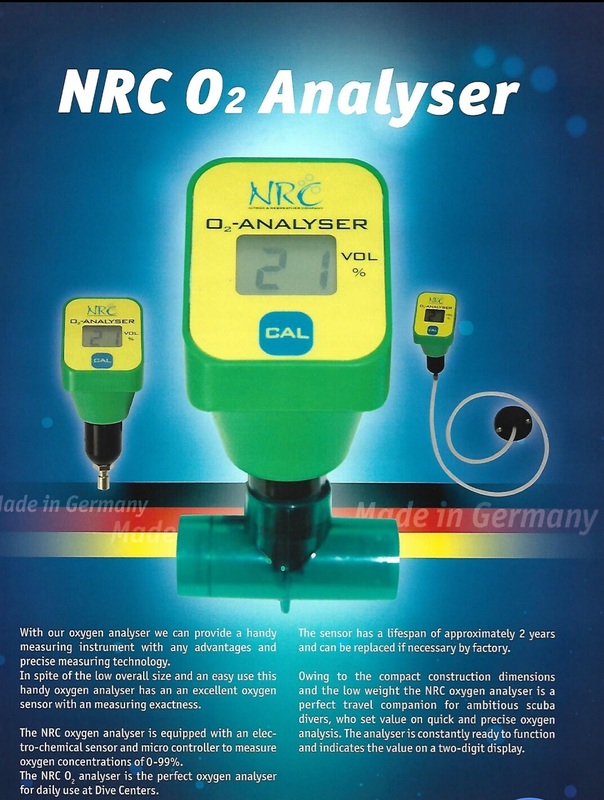 · With our oxygen analyser we can provide a handy measuring instrument with any advantages and precise measuring technology. 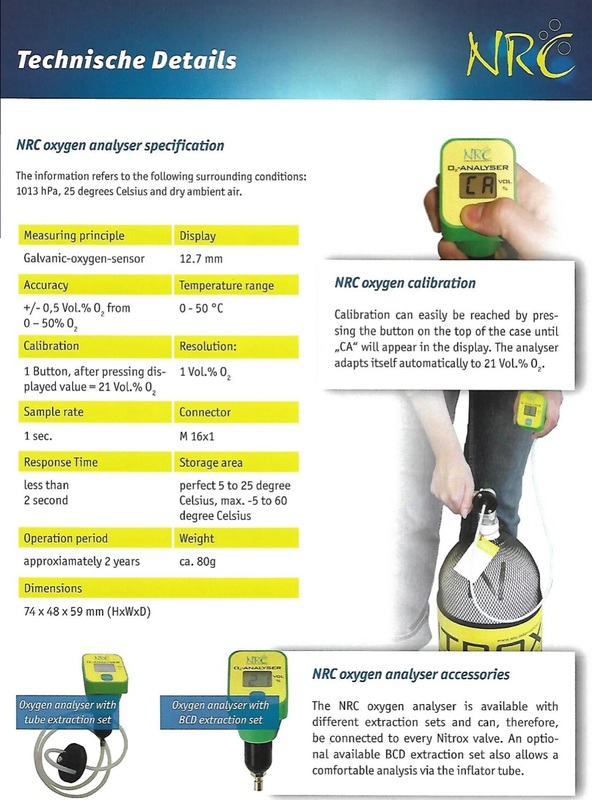 · In spite of the low overall size and an easy use this handy oxygen analyser has an an excellent oxygen sensor with an measuring exactness. 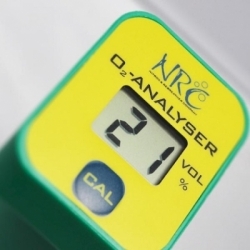 · The NRC oxygen analyser is equipped with an electro- chemical sensor and micro controller to measure oxygen concentrations of 0-99%. 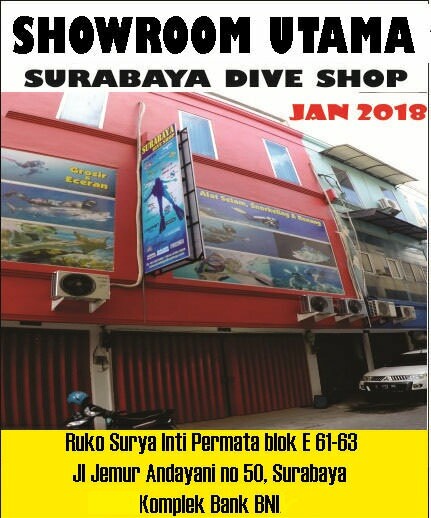 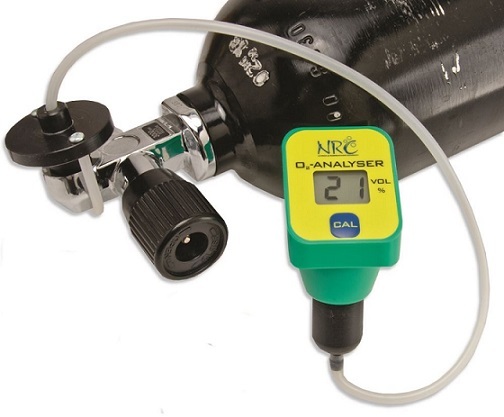 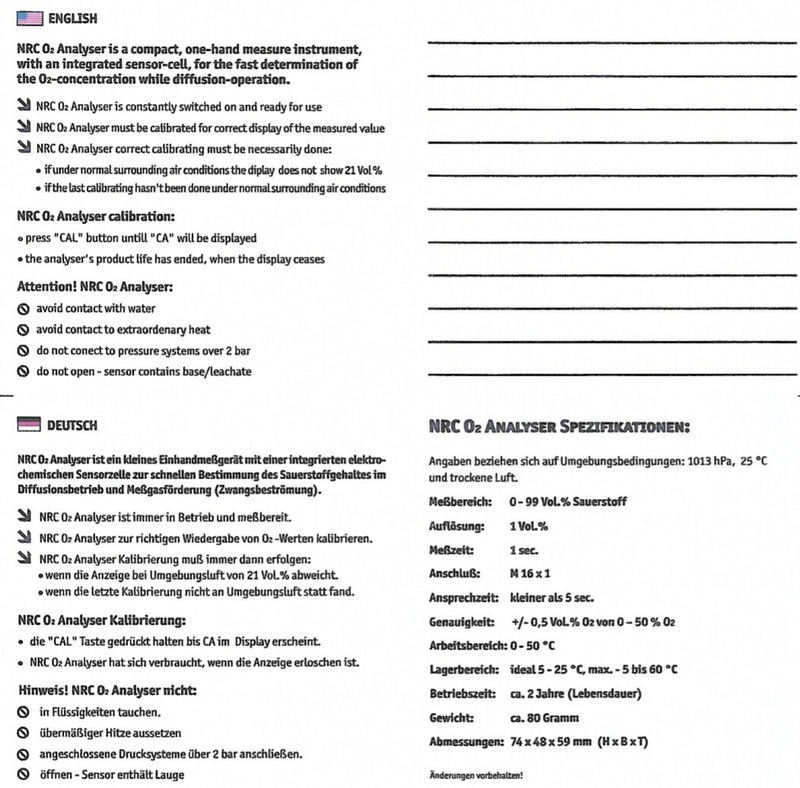 The NRC O2 analyser is the perfect oxygen analyser for daily use at Dive Centers. · The sensor has a lifespan of approximately 2 years and can be d if necessary by factory.